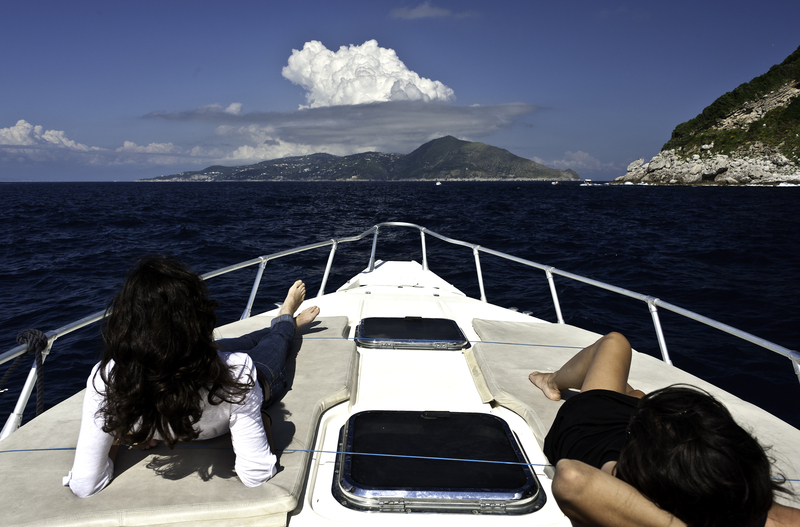 While in Positano, we took a boat to the island of Capri. It was about an hour ride, and the view from the boat the entire way there was gorgeous because of the rugged mountains and cliffs along the coast that dropped into the deep blue Mediterranean Sea. I did not process those images this evening, but will tomorrow. 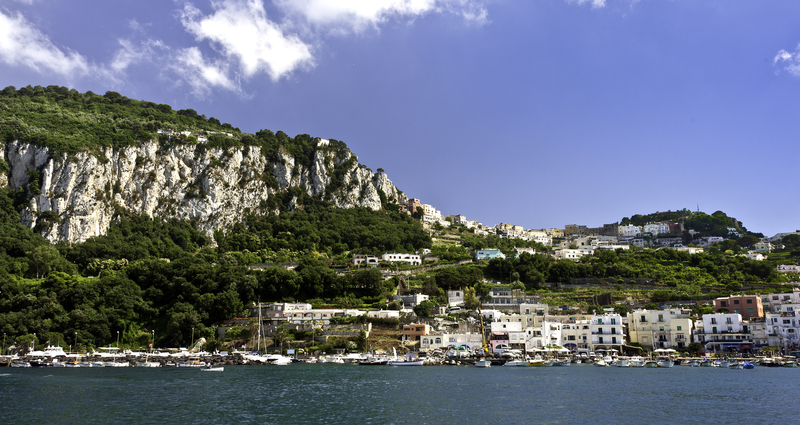 Instead, this evening I processed some of the photos that I took while on the island of Capri, which is an island in the Tyrrhenian Sea off the Sorrentine Peninsula on the south side of the Gulf of Naples. It has been a resort since the time of the Roman Republic. After circling the island, the boat let us off in the Marina Piccola (the little harbor). 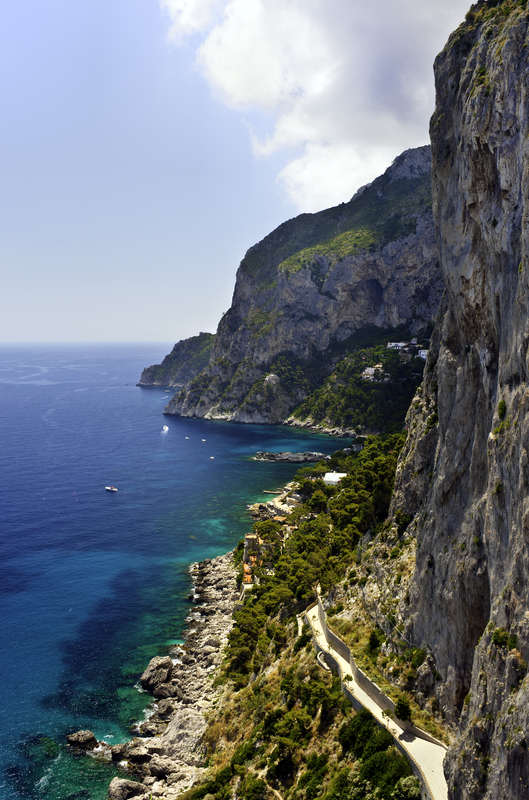 Then, we took a taxi to the top of Capri, which rises high above the sea. 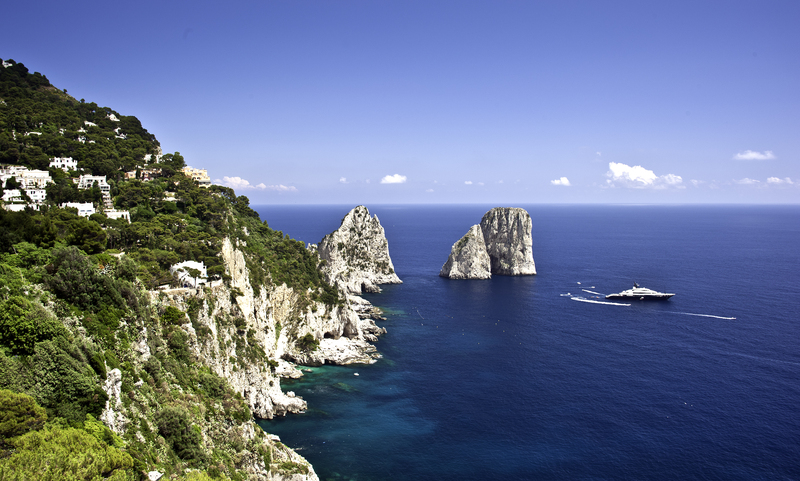 Once there, we rode a chairlift to the highest point on the island where there were spectacular panoramic views of the villas, limestone crags called sea stacks that project above the sea (the Faraglioni), and ruins of the Imperial Roman villas. It was breathtaking, as can be seen from the below images. After descending from the top, we boarded a tram that took us back to the harbor. The views from the tram were spectacular, and the small town around the harbor was very picturesque. Although it was disappointing to leave Capri, the return boat ride and views made up for it. Below, my two daughters enjoyed the ride back in the warm sun on the bow of the boat while taking in the sights. As you can see from the photo, there was an interesting and photographic cloud formation that highlighted the Sorrentine Peninsula. 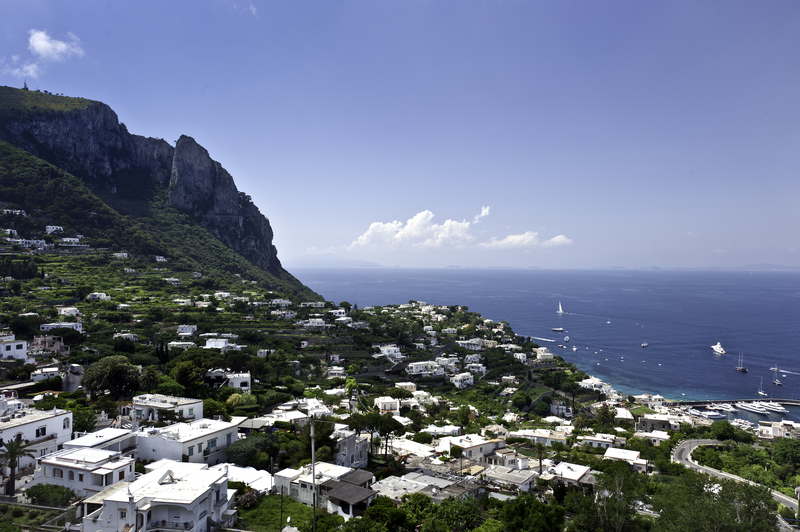 I do not know when I will return to Capri, but there is no doubt that I would like to spend more time on the island to capture its amazing beauty. However, if I never return, it will always be one of the most beautiful places I have ever visited. 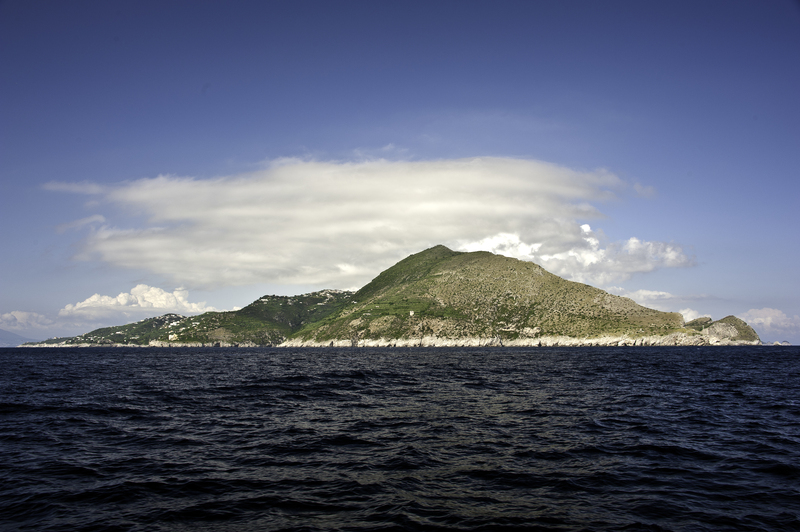 Tomorrow, check back to see the images of the Sorrentine Penisula and Amalfi coastline taken from the boat while going to and returning from Capri. 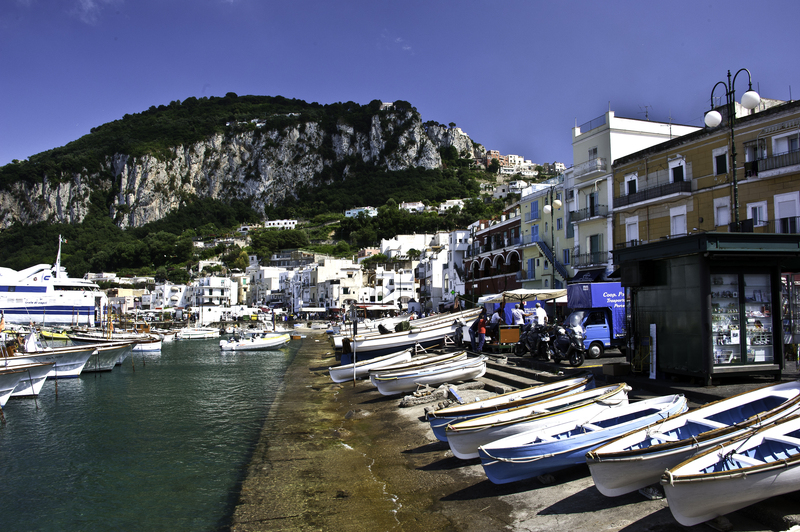 This entry was posted in Italy, Landscape Photographs and tagged capri, Italy. Bookmark the permalink. Imagine living with such beauty everyday? Makes me wonder if the Italians become blase and unaffected growing up in these magnificent surroundings. It is amazing to see all the different colors of the sea (I knew I loved the color blue and these photos remind me of all the beautiful shades that there can be) and reminds me of the views from the Cinque Terre walk along those cliffs that Theresa and I did years ago. We have pictures of our walk along the sea but our photos pale in comparison to yours!!!! 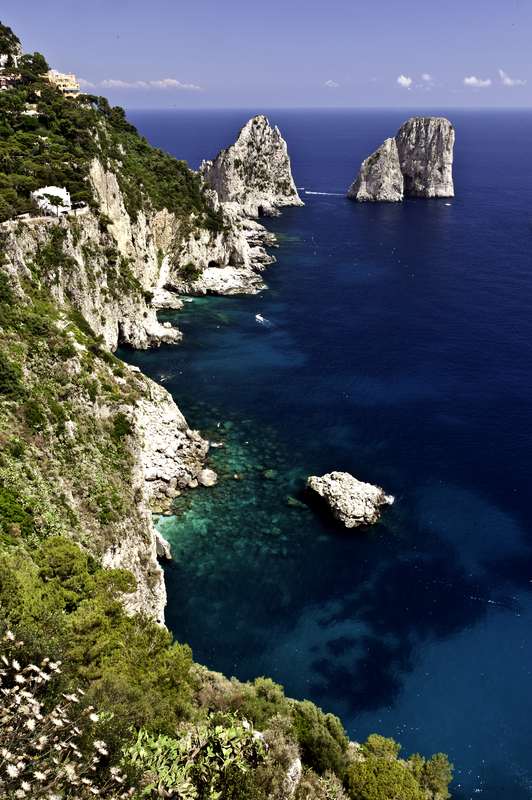 We never made it to Capri but your photos show me why it is one of Italy’s great destinations included in so many tours.